L.A. Rollins is an aphorist, or rather, an againstist. He is of the fraternity of those who deny both sides of every question, the refusniks who are always untimely. . . . For him, there isn’t a department of human experience that won’t sell you a bill of goods. Back in print for the first time in years, this newly revised edition features an insightful introduction by the Stirnerite-libertarian upstart,TGGP, along with a new afterword by the author. Bonus material includes an updated selection of splenetic jeu de mots from the underground classic, Lucifer’s Lexicon, as well as Rollins’ never-before-published writings on poetic insurrection, the Holy Qur’an and Holocaust revisionism. Rollins has made hash of the logical connections in Rothbard’s argument. An important book, which every reader interested in libertarian theory should acquire. 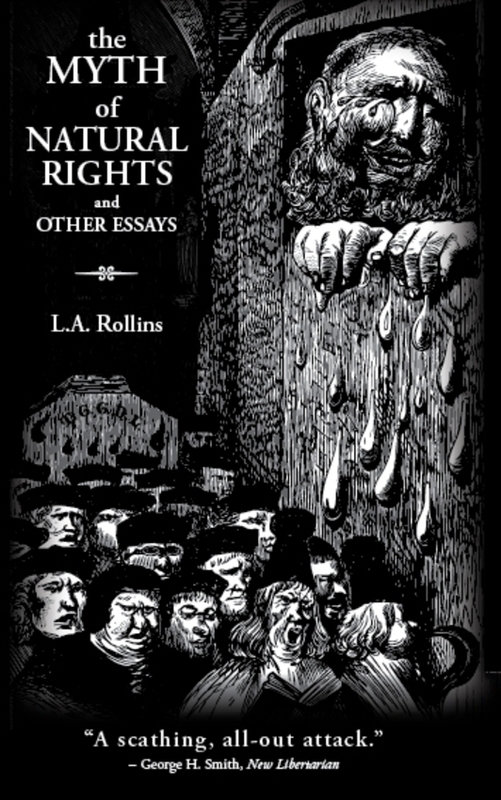 Lou Rollins' brief work is packed with enough analytical insight to send proponents of natural law theory into hiding. You can place an advance order through Amazon here. I'll be taking PayPal orders as soon as the Nine-Banded Books site redesign is ready for prime time, which shouldn't take much longer. To reserve an autographed copy, contact me.